Jeff Kwitowski is the senior vice president of public affairs & policy communications at K12 Inc. Prior to K12 Inc. he worked at Empower America, a Washington, D.C.-based policy organization, as an advisor to former U.S. Education Secretary William J. Bennett and former Congressman Jack Kemp. I was contacted by The Seventy Four regarding a first-person essay written by former Tennessee Commissioner of Education Kevin Huffman on his attempts to close Tennessee Virtual Academy (TNVA). T74 offered K12 Inc. an opportunity to respond, which I appreciated, but I suggested the response should come from Union County Public Schools (UCPS), the school district that operates and oversees TNVA. A response would have to come from K12 I was told, since Mr. Huffman claimed it was the company that stymied his efforts to close the school. So I write this with some reluctance. I respect Kevin. He is a well-known figure in education and does not shy away from controversy. On the story of TNVA, however, the facts contrast with his account. Ultimately, a court ruled he acted illegally when he ordered the school to close. TNVA is statewide online public school serving grades K-8. It has a large number of special needs students and a much higher population of economically-disadvantaged students than the state. 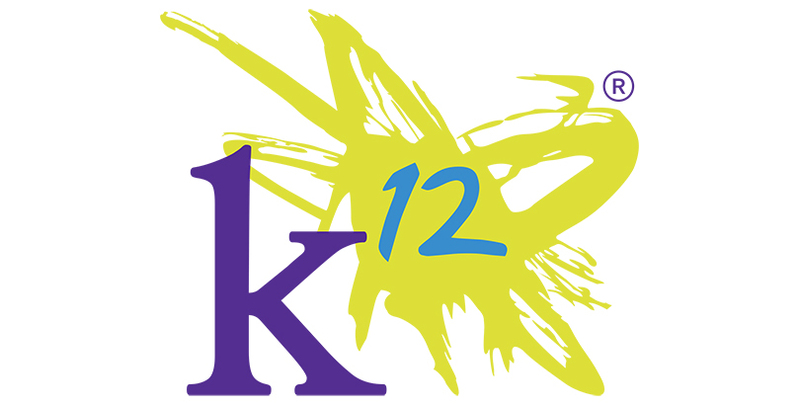 K12 is an educational services provider to Union County, as it is to thousands of schools and districts across the U.S., but TNVA is Union County’s school. They call the shots, not K12. TNVA began in 2011 after the Legislature passed, and Governor Bill Haslam signed into law, the Virtual Schools Act enabling school districts to operate online schools. Currently, about a dozen districts, including Metro Nashville, offer online schools. The Act was amended in 2013 and renewed in 2015 with bipartisan support and the backing of the all district-run online schools in the state. Dr. Carter immediately directed the school to stop enrolling any new students and closed admission even though the state’s open enrollment period had not concluded. Hundreds of families, including many who were in the middle of the enrollment process, were turned away. But about 600 students who completed enrollment in the spring and early summer were already enrolled. On July 17, Dr. Carter sent a letter to Mr. Huffman stating that the UCPS shut off new enrollment as of July 10th as directed, but did not have authority to dismiss students who were already legally enrolled. They also worried it would disrupt families three weeks away from the start of school. Mr. Huffman dismissed those arguments and ordered the district to un-enroll the students immediately. In multiple back and forth letters between the Department and UCPS, and despite pleas from parents, Mr. Huffman continued to push to un-enroll the children. Finally, on July 30, moments before the UCPS Board voted on the matter, Mr. Huffman sent a final letter rescinding his directive to un-enroll the students, but ordered TNVA shut down at the end of the 2014-15 school year. Parents began making their voices heard. They were disillusioned. Why was their school, which was improving, targeted to close while other Level 1 traditional schools were not? They were discouraged when nobody from the Department would even meet with them. After all, no other public institution — a fire station or even a playground — would be closed without public hearings and opportunity for the affected citizens to be heard. For many parents, it felt as if their children, school, and choices were being dismissed. It appeared Mr. Huffman ordered the school closed before he was allowed. The judge also concluded that the special needs at TNVA would be “severely harmed” if the school was closed, noting that the children “thrived at TNVA and rely on its specialized methods of teaching to grow in their learning skills and knowledge.” She confirmed that the children “cannot learn adequately at traditional brick and mortar schools.” If TNVA were closed, these students (and many others) would be forced to return to local schools that were not working for them or failing. Closing schools of choice has real-life consequences. The Department did not appeal. This case was not the result of any ambiguity in the law, nor did it have anything to do with lobbying or political influence. The legislature didn’t act to save the school, the Department never rescinded the closure order, and the Governor never intervened. TNVA is open today because parents fought for their children and because a judge found Mr. Huffman’s closure order to be invalid. Union County Public Schools achieved a Level 5 rating in 2015.